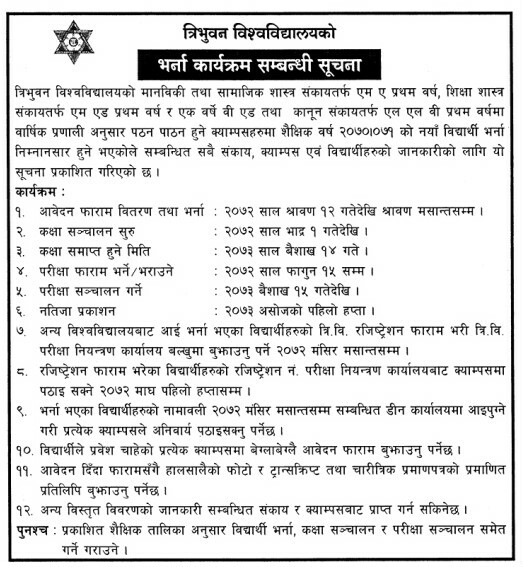 Tribhuvan University publishes admission notice for MA 1st year (under Faculty of Humanities and Social sciences), M.Ed. 1st year & one year B.Ed. (under Faculty of Education), LLB First year (under Faculty of Law) for the year 2070/71. This admission notice is also applicable for its affiliated campuses.